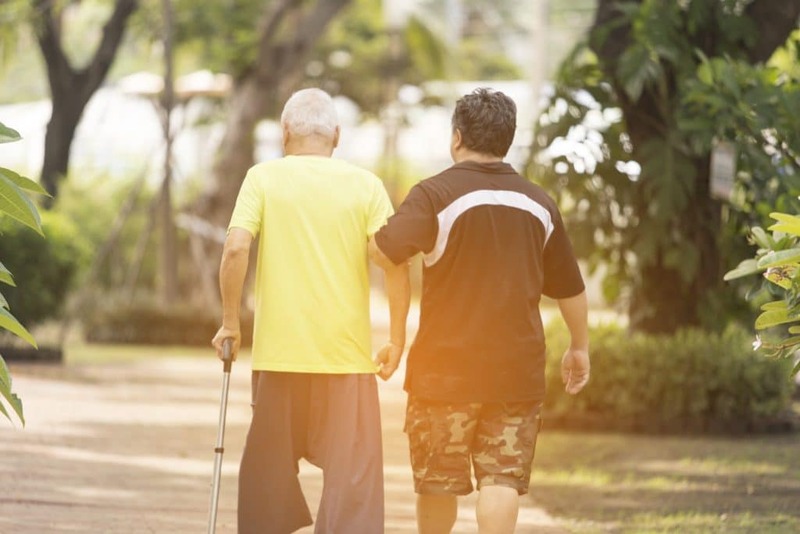 Many neurological disorders are often overlooked—and some are hard to understand. What more, there are very few mainstream solutions or options for helping or treating some of them, especially the most misunderstood ones. Plenty of research has explored the workings behind anxiety, stress, and depression, for example. There have also been some developments on the fronts of cognition and memory. But of all disorders related to the brain and nerves, ADHD and autism today is still very poorly understood in comparison. It’s still very unclear what causes it, and it’s probably even more unclear how it could be supported or remedied in any way. What little we do know is that these disorders can seemingly be caught early—in the womb and/or during childhood in people starting to develop it—which can lessen its severity, complications, and impact on quality of life when these babies and children become adults in the future. Further, there could be solutions from the natural world that could play a role in this. There are also certain similarities between how autism and ADHD are both caused and helped, according to a recent 2012 review. Still, more research is needed. But here’s what’s been illumiated thus far. ADHD stands for Attention Deficit Hyperactivity Disorder. The causes of ADHD are never the same with every case, with genetics and developments during pregnancy being the pinpointed causes today. To determine if someone has it or not, behavior like distractedness, inattention, impulsive actions, and constant movement—even fidgeting—is quite noticeable, especially in children. For some, this is just a natural part of personality. However, it becomes ADHD and an official disorder if these behaviors start to interfere with a child or person’s ability to function, develop, or succeed. Issues like overlooking important details, difficulty listening, and general restlessness and hyperactivity are common. There can also be issues with forgetfulness, inability to finish tasks that are started, squirming, physical restlessness, and even intense talkativeness. In children, hyperactivity is the most noticeable symptom, though the disorder can manifest in a whole variety of different ways. In adults, the symptoms usually become a little more subverted but can be noticeable all the same. WHAT ARE THE MAINSTREAM THERAPIES AVAILABLE FOR ADHD? It’s not certain what causes ADHD, nor is there much certainty over anything that can improve it or “cure” it. Thus far, there have been a few mainstream approaches that have been developed. Stimulant medications. Pills like amphetamines, dextroamphetamines, and methylphenidates are commonly prescribed for people and children with ADHD. While stimulating someone with ADHD may be counter-intuitive, the medications actually work to help correct chemical imbalances in the brain. Non-stimulant medications. There are also non-stimulant treatments available for ADHD. Anti-depressants number among these. Therapy. Various types of psychotherapy help improve issues with ADHD. For children, this can include behavioral therapy. For adults, relationship therapy may be an important help for managing symptoms and not letting issues interfere with quality of life. While therapy is especially essential for helping those who live lives with ADHD, use of medications can be difficult, as they may often create unwanted side effects. And while there is also a lower risk of addiction or dependency, on the other hand, these are risks to these medications as well—and it can be a frustrating path for those looking for as many options as possible. Autism disorder—also known as autism spectrum disorder—deals with neurological developments in people that interfere with their ability to communicate and socialize with others. Today, it is still uncertain what causes it, though genetic and environmental factors are presupposed—though each case of autism is unique from others. Signs that a child may have it include the inability to express warmth, sympathy, or smiles when greeting new people, lack of eye contact, visual gestures, non-verbal communication, and many other symptoms. For undiagnosed adults, the symptoms have similarities, but also some differences. Inability to make eye contact, difficulty empathizing/sympathizing, and a lack of warmth may manifest. But there can also be issues with intense solitude, difficulty making and keeping friends or relationships, inability to read facial cues and body language, and repetitive behaviors. Again, like ADHD, behavior and traits like these can easily be considered simply part of a person’s personality. 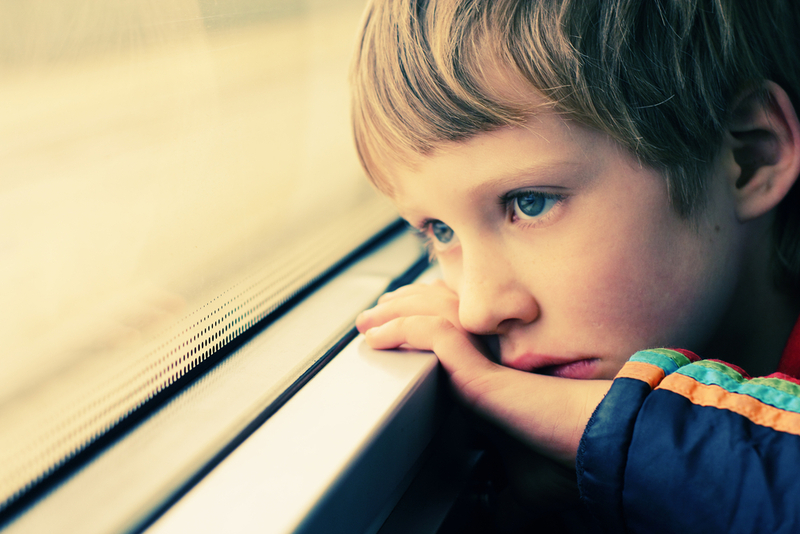 When they begin to interfere with development, daily functioning, and the ability succeed in a person’s life, however, then autism might be a logical diagnosis. WHAT ARE THE MAINSTREAM THERAPIES AVAILABLE FOR AUTISM? There are no known therapies or medicines that can directly cure or lessen the symptoms of autism. On the other hand, there have been some approaches that have been accepted into conventional medicine that may help with issues associated with or connected to autism. SSRI Medications. SSRI’s—short for Selective Serotonin Reuptake Inhibitors—are prescribed for some people. These anti-depressants may help with repetitive behaviors, depression, and anxiety that may stem from autism difficulties. Antipsychotics. These may help with more severe issues rooted from autism, especially if they deal with anger, violence, and self-harm. They may include lithium, risperidone, and others. Therapy. Behavioral therapy for children may help lessen the severity of autism issues, helping people deal with their complications as they grow older. Psychotherapy with autism specialized therapists can help people diagnosed as adults. Though just like with ADHD once again, deciding to take medications for autism—for both kids and adults—can be a very difficult decision considering all the side effects that anti-depressants and antipsychotics may come with. Some of these might include weight gain, tremors, and even suicidal thoughts. DO NON-MEDICAL APPROACHES MAKE ANY DIFFERENCE? For the loved ones of, parents of, and those diagnosed with ADHD and autism themselves, not knowing the causes of these disorders—or how to prevent them—may be frustrating. A source of even more disappointment, solutions beyond therapy are scant, with many medications posing daunting side effects and dependency risks. This brings up the obvious question: are there any natural alternatives to the chemical mainstays in place? Apparently yes, there are—in the realm of lifestyle changes that can be made by both those diagnosed, by their families as well, and the use of naturally-sourced remedies that research shows may reduce the severity of issues springing from autism or ADHD. But keep in mind: while there is hopeful research, no single cause is responsible for any diagnosis of ADHD or autism; but rather, a delicate collection or network of causes that may be different with each case. Furthermore, no single researched cause has been deemed a definite one for either ADHD or autism—there have only been correlations. More research is being undertaken to establish stronger connections. And while these tips are separated into two separate categories for ADHD and autism, research is starting to show that there is quite a bit of crossover when it comes to what helps reduce the chances for either disorder from occurring, as both may have very similar underlying causes. A review of natural complementary therapies for ADHD in 2011 found that too much of certain macronutrients—specifically carbohydrates—could be a risk factor for ADHD development in children, especially when accompanied with too little proteins and other nutrients. While eating too much sugar and processed foods has not been proven to outright cause ADHD, studies do show that it may exacerbate or worsen issues. While gluten is a protein, it is found in products often considered simple and complex carbs, which may help to be avoided. The same study on ADHD in 2011 found that the disorder could be linked to specific nutrient deficiencies. Namely: proteins, healthy fats, zinc, magnesium, and glutathione, a body-synthesized antioxidant. Proteins are a big one. Amino acids, components of protein, are needed to create neurotransmitters—and lack of certain neurotransmitters have been linked to in some people with ADHD. Healthy fats—particularly omega-3 fatty acids—are also important, since they are essential to the health of neurons as well as neurotransmitter receptors. Then there are mineral deficiencies—zinc has an especially high connection to ADHD, as it is needed for dopamine metabolism to chemically counteract ADHD, though all minerals have a delicate interrelationship with one another for each to express itself fully. Now more than ever, with incidences of ADHD and autism on the rise, it’s important for kids to get all their adequate nutrition, as kids are most vulnerable to these changes—whereas, into adulthood, it can be too late to turn things around. Studies have linked smoking and drinking during pregnancy to an increased risk of developing ADHD, which are discussed in this 2012 practitioner review. While these have been highlighted as very likely causes over the years (in combination with genetics), there’s quite possibly a whole lot more to toxins than that. Functional medicine doctor and health expert Chris Kresser has this to say about environmental toxins and ADHD in his 2017 article: “Any kid who’s dealing with ADHD, I would test them for heavy metals. Particularly mercury, arsenic, lead, and cadmium,” he says. Studies say that this also extends to pesticide exposure and even the consumption of artificial food colorings, each which have been linked to ADHD, as this review from 2011 outlines. Each of these contaminants—from alcohol and nicotine to fake food coloring—have a way of interfering with neurotransmitters, which could in turn feed into the ADHD problem even more, though more research is needed. Rhonda Patrick, PhD, established a strong causal link between vitamin D and the development of autism in her 2014 study. This is an especially important dietary guideline for mothers: getting adequate vitamin D during pregnancy could greatly reduce the risk of one’s child developing autism. In short, adequate serotonin (a neurotransmitter) synthesis depends on vitamin D. Therefore, low vitamin D could increase risks of autism, which are also discussed in this 2016 and this 2017 article. A recent 2016 review also found that inadequate gut health—specifically, unhealthy gut bacteria during fetal development—could have an effect on brain development in turn. While more studies are needed, this could mean that it is imperative that babies get healthy amounts of probiotics, and that they also avoid unneeded exposure to antibiotic overuse, both of which could very well reduce autism risk. Just like with ADHD, it seems that avoidance of environmental toxins goes a long way with autism, too. A 2010 study named lead, mercury, ethyl alcohols, pesticides, and antidepressants as potential causers of autism, the last of which was also tested in a John Hopkins study in 2015. Again, another potential risk that could be stopped at its source during pregnancy, though more studies are needed. WHAT NATURAL REMEDIES HOLD THE MOST PROMISE? Is there anything that nature could provide in the realm of support, relief, and even minor therapy for ADHD and autism? A 2011 Alternative Medicine Review says yes when it comes to ADHD. Though more studies are needed, herbs like rhodiola, valerian, and St. John’s wort could be helpful in dealing with some of the issues that stem from ADHD. 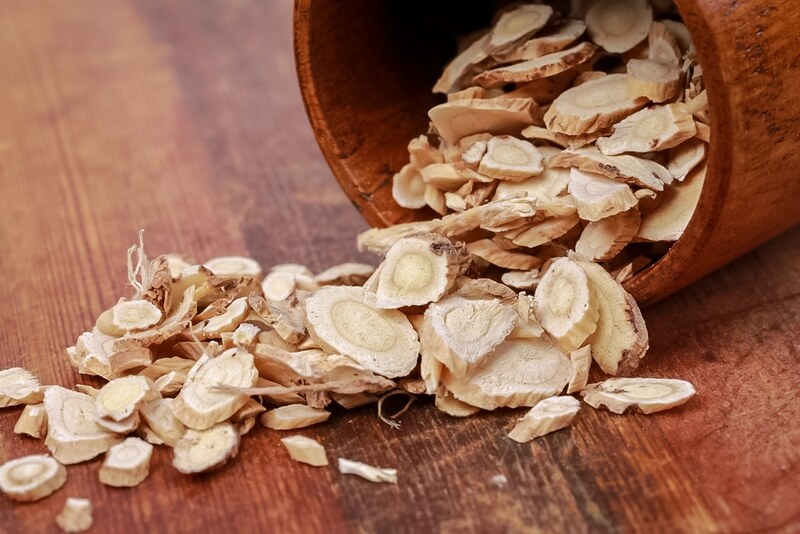 More studies are needed concerning herbs for autism too, though a 2016 HerbMed Pharmacology review found that botanicals like gingko, gotu kola, and astragalus may have peripheral benefit. 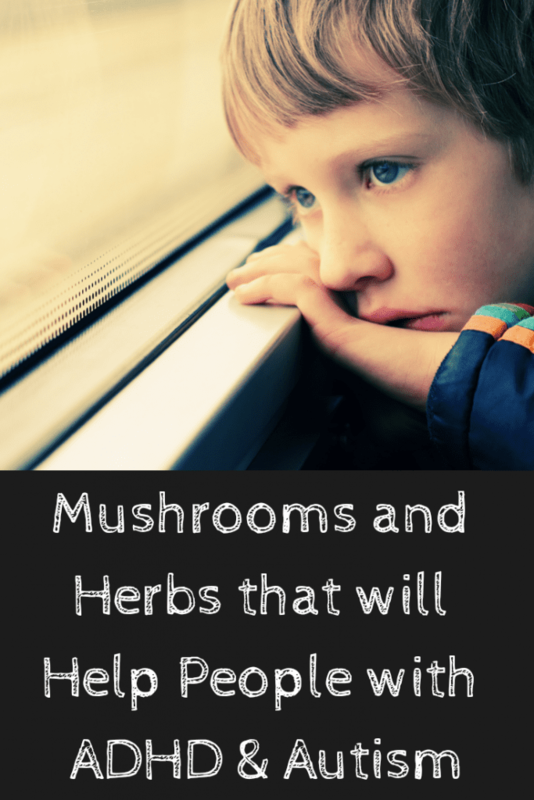 But research has found the most promise in the following mushrooms and fungi, with lots more definite links to either their phytotherapeutic support for autism or ADHD—or both. Bacopa has been a source of immense excitement in the world of herbal medicine research, with tons of studies connecting it to intriguing hopes for helping ADHD. This includes a 2014 study on children with ADHD, which found that bacopa greatly helped with most hyperactivity and inattention symptoms, though it didn’t improve their social challenges. Bacopa is also shown to be a neuroprotective brain tonic hailing from ancient Indian medicine, empirically seen to improve issues with cognition, memory, and mood. 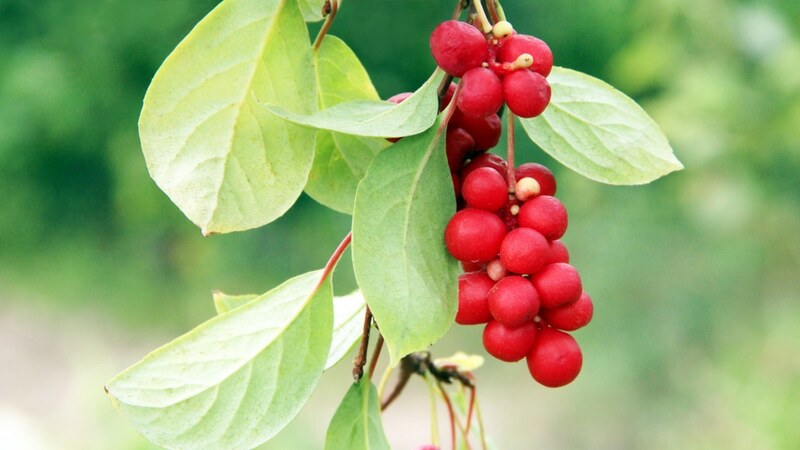 Some studies suggest (like this one in 2017) that it may thus be a helpful natural remedy for autism struggles with its anti-anxiety and general neuroprotective benefits. While no direct research has been established between these disorders and this medicinal fungus like it has been with bacopa, there is good scientific reason to believe that an odd mushroom, like lion’s mane, could nevertheless still be of some marginal help. Studies have established some strong evidence that this fluffy-looking mushroom could be of benefit to symptoms relating to anxiety and depression, which may relate to both autism and ADHD. What more, lion’s mane is famous in research for its effects on focus, which may be of use for symptoms relating to ADHD especially. Research shows that second to lion’s mane, cordyceps is neuroprotective to the highest degree. No direct research has been undertaken to manifest a solid link between cordyceps and ADHD or autism, though the makings of a link are already clear. After all, cordyceps touts strong anti-depressant potential, which could be an ally to those with autism; and it could also help sharpen focus to a razor edge, according to studies, which may benefit ADHD. With its fungal brethren lion’s mane and cordyceps, reishi could also be supportive to both ADHD and autism. Some studies suggest it could have anti-depressant-like effects and neuroprotective activity that helps with focus. Huperzia, a Japanese moss, may as well be a nootropic fungi just like the mushrooms listed above. Studies suggest that it could help focus and cognition, a great indirect help to ADHD, though more direct studies for this will eventually be needed. 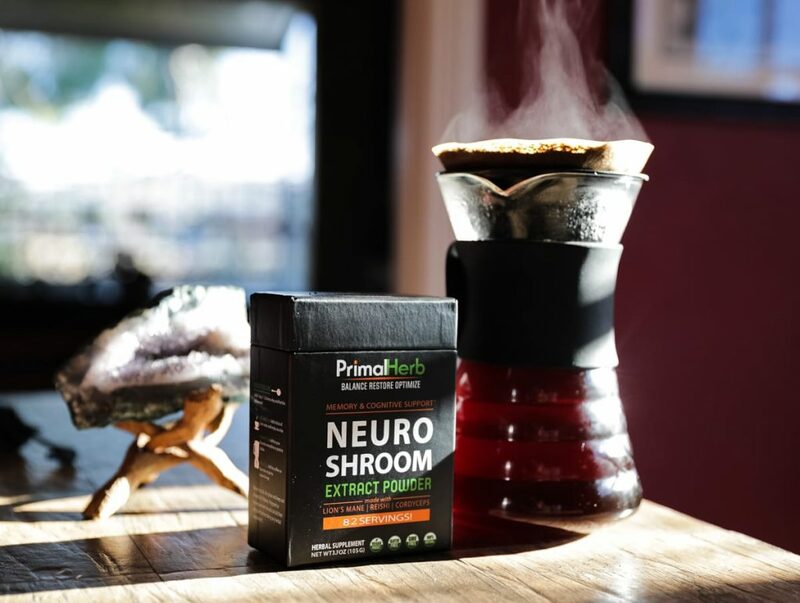 Our Neuro Shroom formula just so happens to include each of these herbs and mushrooms. Explore their wide range of benefits—and click through to discover the research and studies that support each of them, along with their traditional backgrounds.